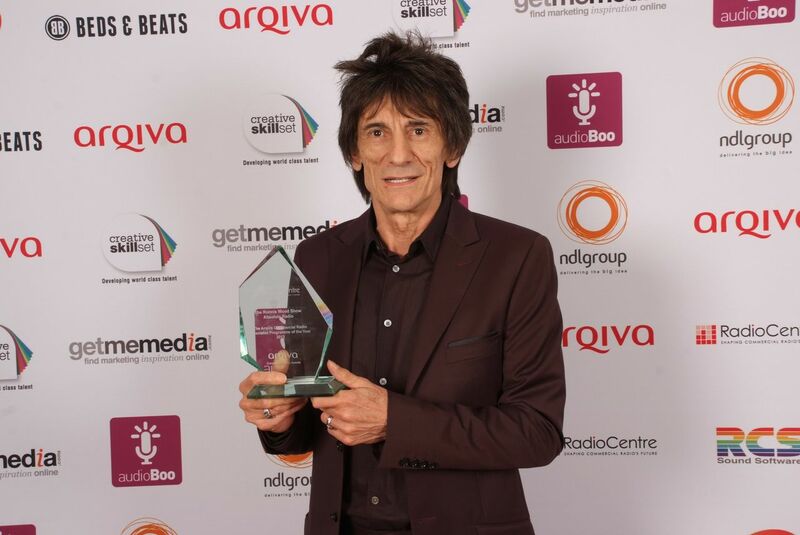 Rolling Stones guitarist Ron Wood has been honoured for his Absolute Radio show for a third successive year at the Arqiva Commercial Radio Awards. BBC reports Wood’s show picked up “Specialist Programme Of The Year” at the July 3 event, held at London’s Westminster Bridge Park Plaza Hotel. The awards – now in their 18th year – celebrated commercial radio’s 40th anniversary this year, with live performances from artists across the decades, including Atomic Kitten, The Feeling, Level 42 and The Original Bucks Fizz. Last weekend, Wood and the Stones headlined the Glastonbury festival for the first time in its 43-year run. This weekend, the band will play the first of two shows at London’s Hyde Park; the second date is set for July 13.